Marketing does not always reflect the reality of the movie. That said, having seen Tomorrowland and played through all three Bioshock games, all I can say is: yep. Warning: mild spoilers to follow. The most obvious similarity exists in the concept. A futuristic society is created with the desire of being “better” than the rest of the world. Something goes wrong and it is up to an outsider to fix it. Right there I have just described the basic premise to both Tomorrowland and every Bioshock game. Yet the comparison does not stop there. The movie opens with a young Frank Walker (the boy who will grow to be George Clooney), an inventor who arrives at the 1964 World’s Fair to show off his invention: the jetpack. Frank meets a mysterious girl, Athena (played very well by Raffey Cassidy) and is able to ascertain passage to Tomorrowland. What does the passage look like? Frank gets on a boat on the “It’s a Small World” ride. Halfway through, the waterway drops out and brings Frank to a seemingly endless body of water with a single walkway leading to a bathysphere. Sound familiar? Depending on who you ask, “It’s a Small World” is more or less ominous than a solitary lighthouse in the middle of the ocean. Frank is next transported to Tomorrowland, a society founded and driven by one man: Governor Nix (Hugh Laurie). Nix is a leader who appears to have forsaken the rest of the world in favor of building his own vision of a better tomorrow. While his philosophy is slightly different, Nix is very comparable to the likes of Andrew Ryan and Zachary Comstock. Yes a disconnected world with lofty ideals and an extremist leader – what could go wrong? The nature of the exact problem with Tomorrowland is partly what separates it from other dystopias like Rapture and Columbia. The stubbornness and unfeeling nature of Nix aside, Tomorrowland has created a technology that is interfering with the rest of the world. I won’t spoil what it is exactly, other than to say it ties in strongly with the overall theme of the movie (similar to how the problems with Rapture and Columbia tied in to the themes of those games). Athena does not throw coins to either George Clooney or Britt Robertson, proving that she is not as financially useful as Elizabeth. It is difficult to say whether or not the wealth of similarities between Tomorrowland and the Bioshock series is anything more than coincidence. I have searched for information on whether or not Brad Bird is a gamer, and I have found none. 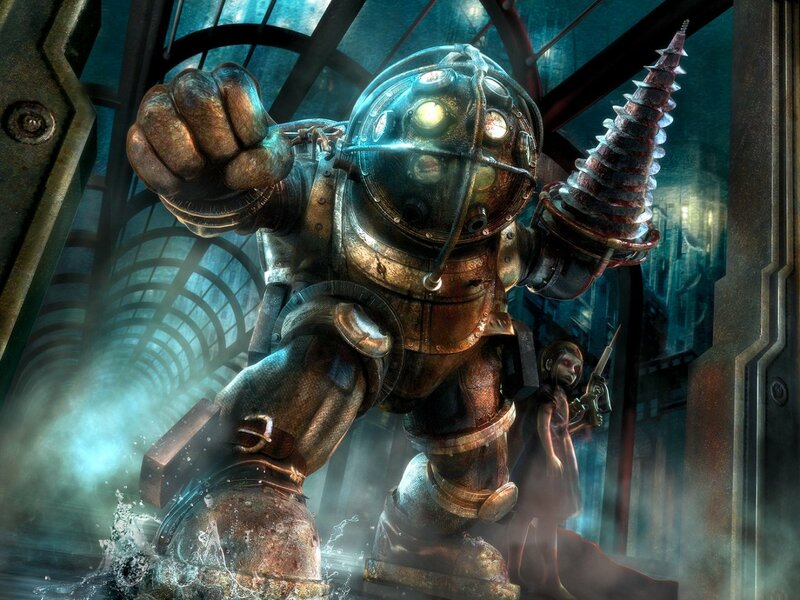 Given his age (57), and where he is in life – I do not believe he has ever played Bioshock. 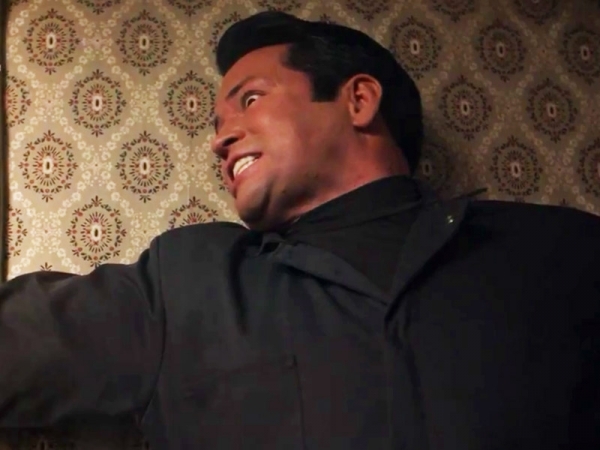 Yet Damon Lindelof, who co-wrote Tomorrowland, may very well have – again I cannot be sure. 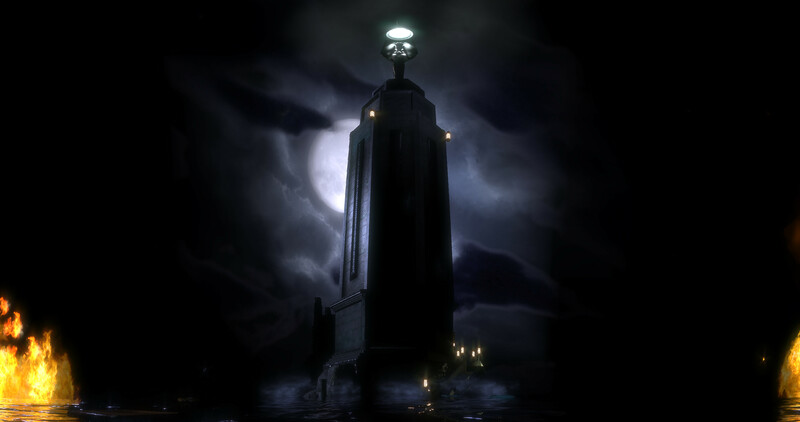 The idea of the Bioshock series is not so revolutionary that it is impossible to believe other creative minds did not come up with it on their own. Humanity has been discussing utopia and dystopia for centuries. And alike as they are, Tomorrowland and Bioshock do enjoy their differences. The main story arch is different between them, and Tomorrowland enjoys an optimism (that some reviewers have labeled preachy while this reviewer found refreshing) that Bioshock does not possess. 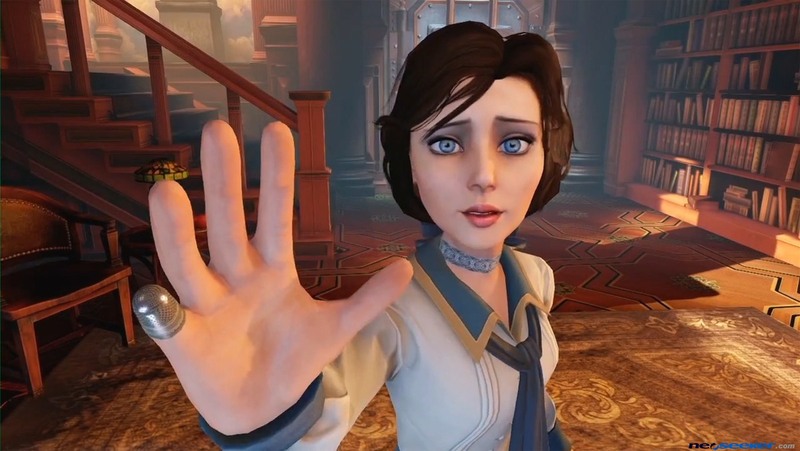 It could be argued that Disney should have embraced the Bioshock comparison more openly, as their movie is currently struggling for financial success. There are some more hints. Visual refferences, like the Eiffel Tower being introduced as if it is a lighthouse and a moment in the climax when Athena fights one of the tech bots by climbing it which looks like a Little Sister climbing on the shoulders of a Big Daddy.